Deadline for BRICO 2018 applications has been extended! BRICO 2018 organizing team gives their sincere thanks to all the teams that sent their applications for the level 1 pre-evaluation on time! As there were fewer applications than available spots, we have decided to extend the deadline for new applications till 29th of january 21:00 CET. Up to 5 new applying teams will be accepted to the finals, granted they send all the files necessary for level 1 and level 2 pre-evaluations and their design complies with the rules of the competition. 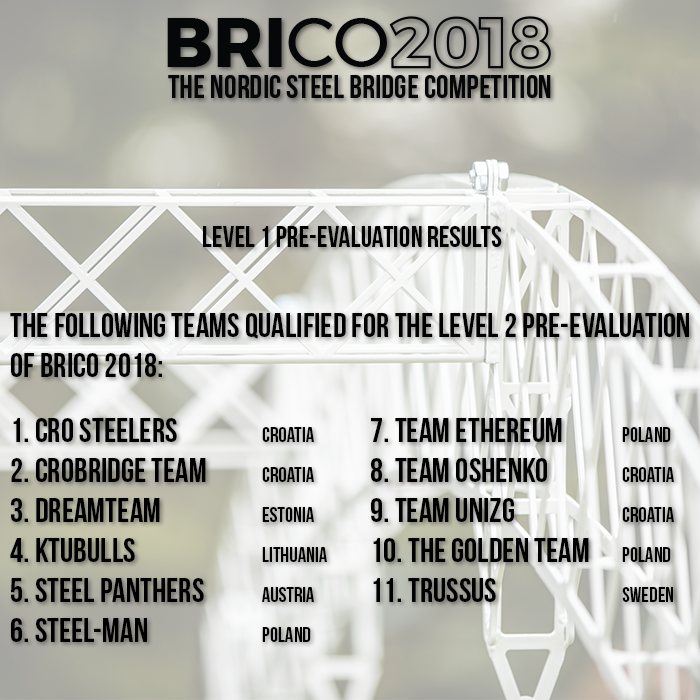 We’re happy to announce that all the teams that have already sent their level 1 pre-evaluation applications on time and who will provide the necessary files for the level 2 pre-evaluation by 29th of january 21:00 CET, will have automatically qualified for the final competition at Tallinn!